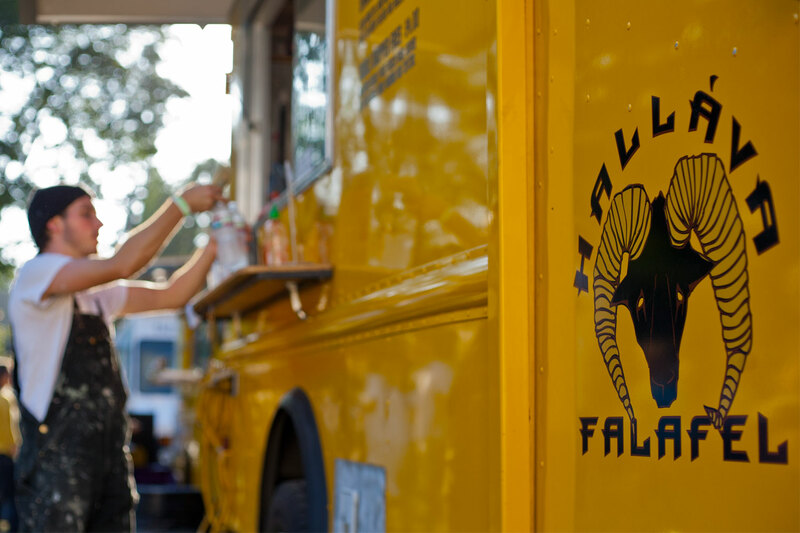 We were fortunate enough to grab a few minutes from Hallava Falafel’s owner, James Barrington, to hear his food truck story. 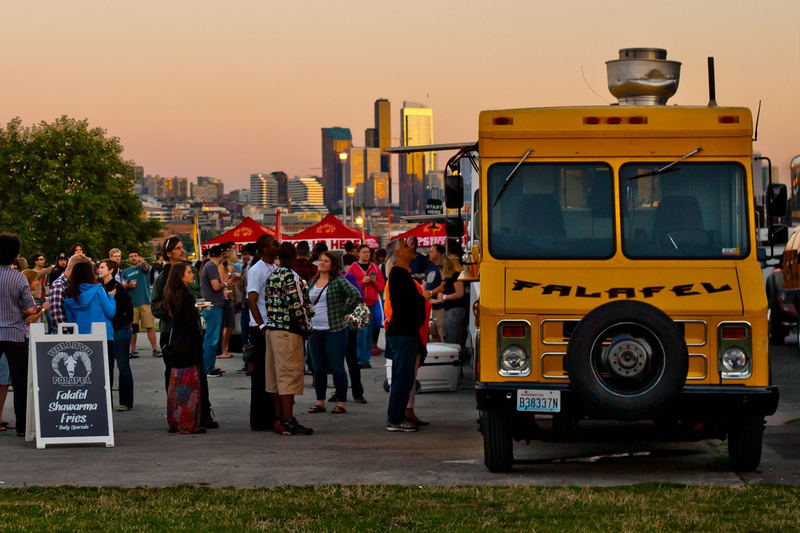 Not every food truck has the same beginning, so hearing everyone’s experience is something that we at SeattleFoodTruck.com are always interested in. 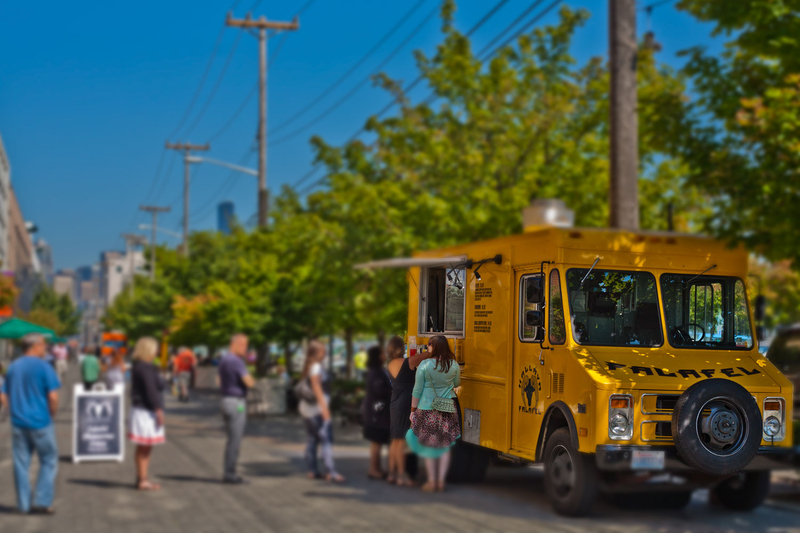 The food truck community in Seattle grows from sharing stories and working together, so please enjoy this wonderful Q&A while learning more about what Seattle food trucks have to offer! TELL US A BIT ABOUT HALLAVA FALAFEL – WHAT ARE YOU GUYS ALL ABOUT? 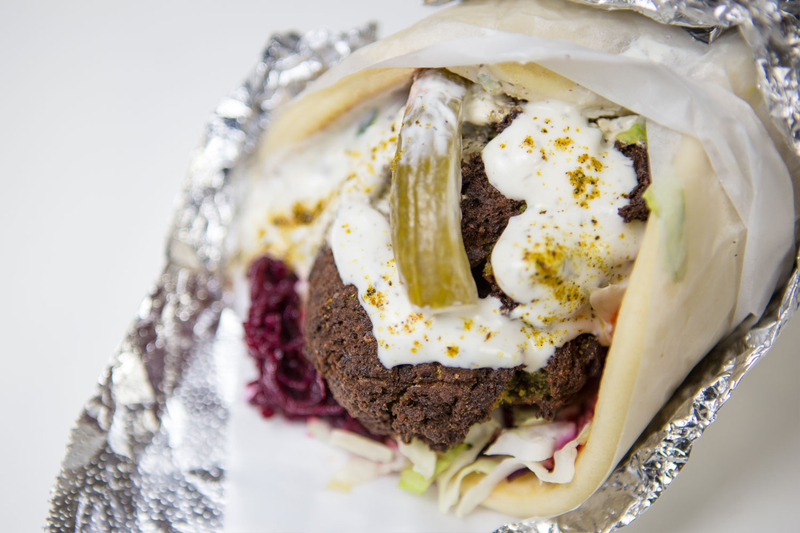 Hallava Falafel is Seattle’s first “non-taco” food truck. We started in the summer of 2006 in Seattle’s historic Georgetown neighborhood. Hallava Falafel is a Russo-Turkish food truck. We serve a simple menu that has got a little something for everyone. Chucks Hop Shop. They have two locations, one in the Greenwood area and one in the Central District. It’s laid back family atmosphere makes it a favorite place of ours to serve up hungry customers. Shawarma. Shawarma is similar to “Gyro” sandwiches but with a kick. Our sandwiches are loaded with flavor. Our Shawarma is served up with beets that are slow roasted and finished off with sour crème, hot sauce, lettuce, spinach, cabbage, our house made tzatziki, an Armenian pickle and our house seasoning blend. The biggest struggle is that there isn’t one struggle in particular. Since we serve food on the streets we are subject to weather. Summers are always the best times for us. Seattle is a beautiful city in the summer and we Seattleites love to bask in the sun and go to festivals. Winters (the other 9 months of the year) are tough on a food truck because it’s wet, gray and cold. It’s the die hard patrons that keep us afloat in the winter! Besides the climate, we’re in mobile kitchens and that means more wear and tear on our equipment and $1000’s spent every year on maintenance. 1) Do you get paid every two weeks? 2) Do you have health-care? 3) Do you get to clock out at the end of the day or are you constantly working? See what I’m getting at? By the time you spend $125 to park and to vend for the day, $100 per day for your kitchen, $150 for your employee to work the window, $400 for food and incidentals (insurance, gas, maintenance, taxes, permits), you then have to feed 100 people during your 11:00am-2:00pm lunch shift to cover the $800-$900 in base expenses. That said, it can be incredibly rewarding and with very careful planning you CAN make it work. 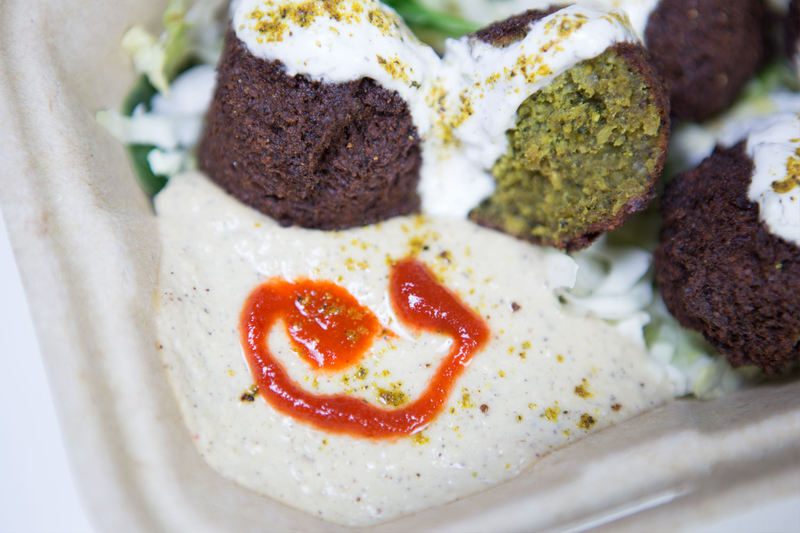 WHAT’S NEXT FOR HALLAVA FALAFEL? We’ve been scouting for months now for a brick and mortar. In recent months we’ve seen some of our favorite food trucks turn into brick and mortar like Falafel Salam, Cheese Wizards, and Sam Choy’s Poke to the Max to name a few. Both of our sister trucks Bread & Circuses and Wood Shop BBQ have a year under their belts in a brick and mortar so as a family we’re familiar with making the jump. I like life to be pretty simple. Not much tops dinner out with my wife for me. I love small plates and sharing food so any setting where I’m doing that with people I care about is a win.